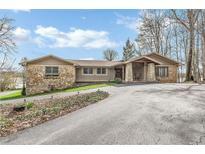 Below you can view all the homes for sale in the Woodland Springs subdivision located in Carmel Indiana. 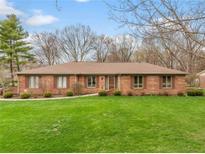 Listings in Woodland Springs are updated daily from data we receive from the Indianapolis multiple listing service. To learn more about any of these homes or to receive custom notifications when a new property is listed for sale in Woodland Springs, give us a call at 317-308-8198. The lower level is finished with a flex/ Recreation room having luxury Vinyl Plank flooring & another side set up as Home Theater, custom made bar & beverage refrigerator. 3-season porch overlooking back. MLS#21632202. Encore Sotheby's International. Must see. Shows pride of ownership. MLS#21632023. Berkshire Hathaway Home. Roof-2013, Windows-2013, A/C-2013, Fence-2015, Interior paint-2017, Security system. MLS#21626306. CENTURY 21 Scheetz. Three garages with a long private driveway to occupy more cars. MLS#21627594. CENTURY 21 Scheetz. As a resident or Woodland Springs your benefits include access to the community clubhouse, community pool (Major renovation in progress) a 42 acre lake and tennis courts. MLS#21619339. Heimer Real Estate LLC. New Carpeting('19)Interior Completely Painted('19)Dual Fuel Furnace+A/C('15)water heater('18)Roof('13)Newer Exterior Paint+Replacement Thermal Windows Throughout+Solid Wood Doors+Trim-Oversized Dining Room w/Corner built-in China Cabinets+Huge living room+family room w/Brk Masonry fireplace+3 Season Porch Overlooks Brk Patio+Nature! Spacious(24X24)Side Load garage! MLS#21619204. Berkshire Hathaway Home. Freshly paved asphalt driveway. Motivated Seller!! ! MLS#21603144. The Elite Advantage, Inc..